A set of granite stones were placed at the Market Cross in the centre of the village to commemorate Queen Elizabeth II’s Diamond Jubilee in 2012. Parish Council Chairman Julian Davies explains how the project took shape. When is a name cast in stone? The parish of Yatton Keynell is very old and its original name was recorded in the Doomsday Book in 1086. Two years ago, this fact was recorded by carving its original name in the face of the oak beams at the Market Cross in the centre of the village. 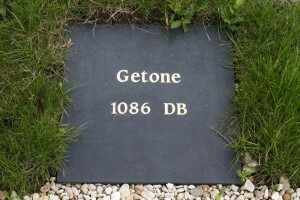 But in those far-gone days, Yatton Keynell was known as Getone. 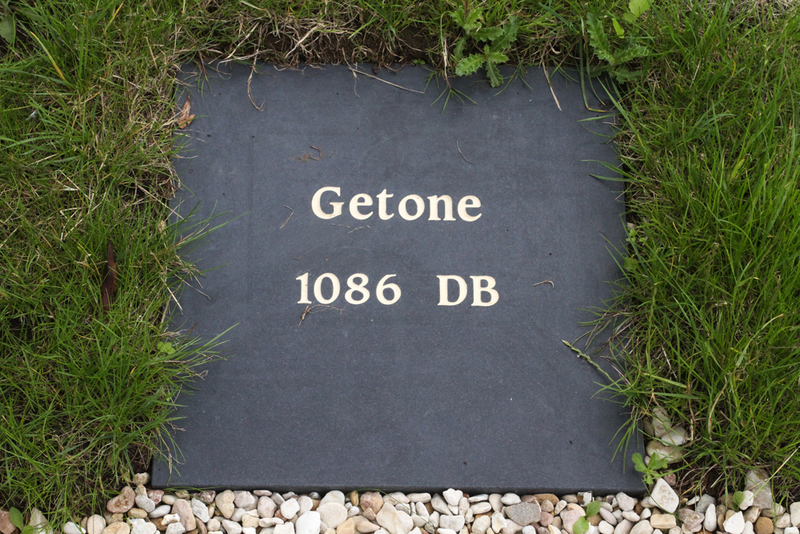 How did the name of Getone transform into the modern name of Yatton Keynell? Through many iterations apparently. 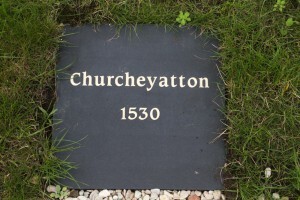 The Parish Council decided to record those name transformations from 1086 through the middle ages to the present and to cast those name changes and dates in stone placements around the perimeter of the Market Cross, culminating in a 14th last stone commemorating the Queen’s Diamond Jubilee. Our main historical source material was Gover’s “The Place-names of Wiltshire” published in 1939. However further information and clarification was provided by the Wiltshire & Swindon History Centre in Chippenham – particularly by Michael Marshman, the local studies librarian, to which we are most grateful. 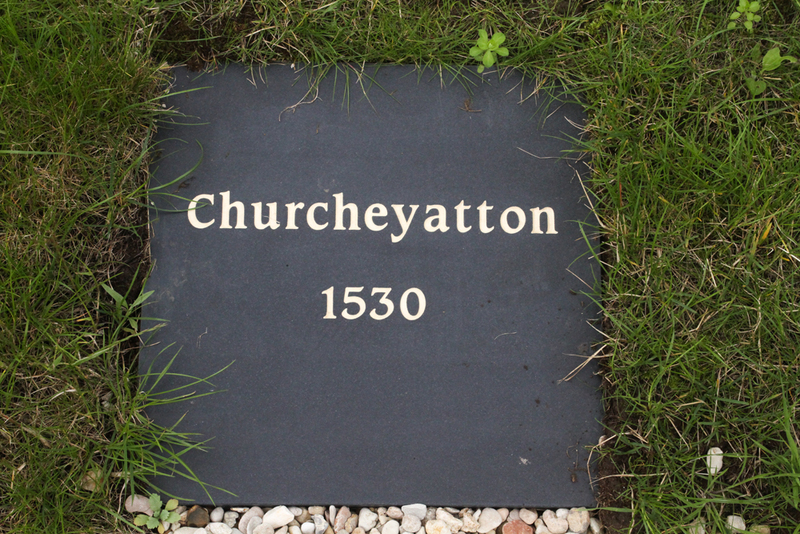 Place-names for Yatton Keynell changed frequently from the times of the Doomsday Book up to the 16th century. By then, printing was established and maps began to be published making place-names standard. 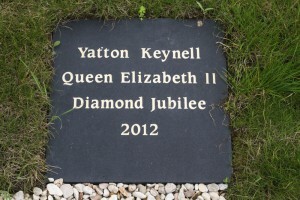 As a result, Yatton Keynell became the popular name for the village in 1618 even though a few aliases were still in usage up and till the Post Office was established in the 19th century. Once place-names were confirmed, tenders were called for. James Long (Masons) Ltd of Trowbridge were eventually commissioned to procure the stones and engrave upon them the 14 different place-names over the last millennium. The Parish Council chose honed matt black granite 40cm. square stones sourced from the Tamil Nadu/Karnataka states of Southern India which were then engraved with ivory enamel. The stones were placed around the Cross in late May 2012 in time for the Jubilee celebrations. 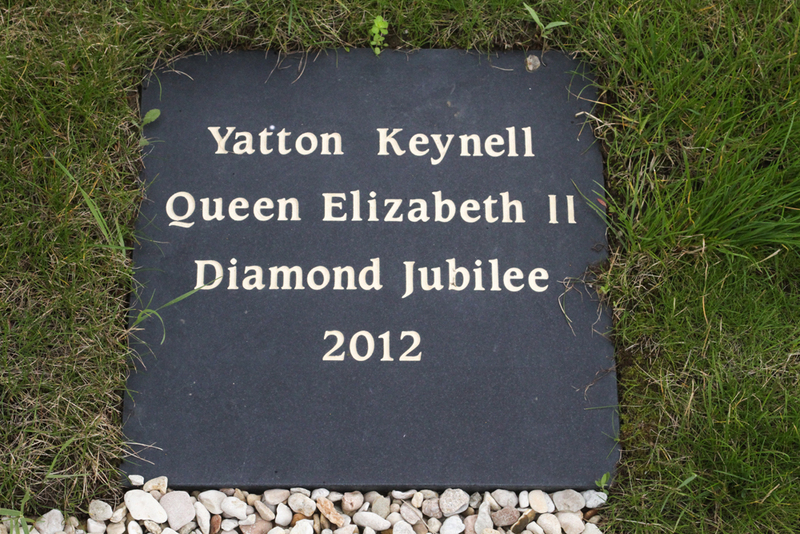 A letter was duly dispatched to Buckingham Palace informing her Majesty that we were celebrating her 60th Anniversary of her accession to the Throne by adding a dedicated stone (Yatton Keynell Queen Elizabeth II Diamond Jubilee 2012) to the 13 other “Yatton Keynell” stones. A reply was received from the Queen’s chief clerk. Parishioners are now aware of the village’s long history and hopefully the stones will provide an interesting talking point for years to come.